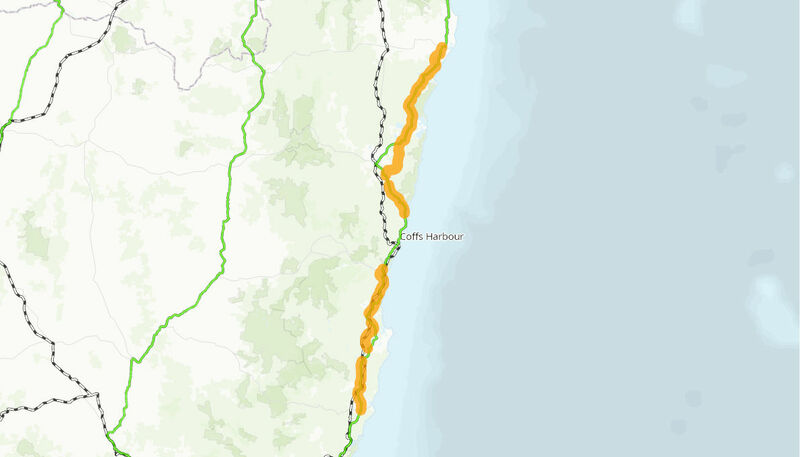 The Australian and NSW governments have been jointly upgrading the Pacific Highway to provide a four lane divided road from Hexham, near Newcastle, to the Queensland border since 1996. Travel times are expected to be reduced by 2.5 hours when the entire upgrade is complete. Both light and heavy vehicles are currently saving more than 2 hours. These faster travel times will reduce operating costs for freight operators. Since the commencement of the Pacific Highway upgrade in 1996, fatal crashes have halved, down from more than 40 per year prior to the upgrade commencing to fewer than 20 in 2017. It is anticipated that future upgrades will continue to improve safety, further reducing the number of fatal and casualty crashes on the highway. The Pacific Highway upgrade will improve the amenity of many townships currently along the route. The upgrade will result in the highway bypassing many major towns, which will reduce noise, pollution and traffic and improve safety in these townships. The Australian Government has committed $5.62 billion from 2013-14 towards the completion of the Pacific Highway upgrade. Currently, 530km, more than 80 per cent, of the Pacific Highway between Hexham and the Queensland border is a four-lane divided road. All remaining sections of the upgrade are underway.